Late on the evening of 5 June, 1944, two brave young Americans among many were poised for the greatest challenge and risk of their lives. 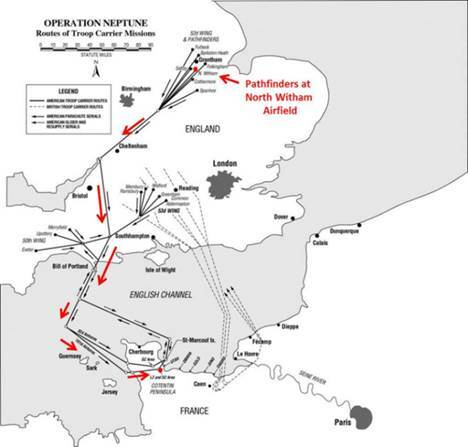 D-Day, “Operation Overlord”, had arrived in Europe, and Airborne Invasion forces would be the “point of the spear” to cross the English Channel and go in first, to defeat Nazi tyranny and free Europe. They would have significant roles, one as the 9th Air Force co-pilot of the lead Pathfinder Troop Carrier C-47, carrying the first 101st Airborne Pathfinder Paratroopers into Normandy Drop Zone “A”, to lead the Airborne Invasion, and the other as a 9th Air Force Flight Nurse, prepared to soon fly in the same C-47s into the Normandy front combat lines, to evacuate the wounded soldiers back to England, to awaiting hospitals for care. 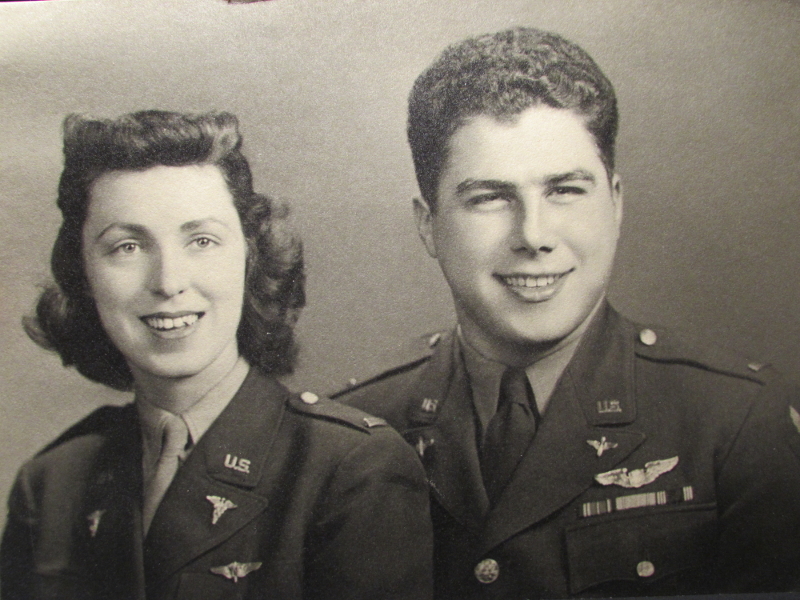 He was Captain Vito Pedone, and she was First Lieutenant Geraldine (Jerry) Curtis, both officers in the U.S. Army Air Force. Their story is one of duty, bravery, and determination in the face of danger, to execute the planned Normandy D-Day Invasion. They were very successful! Amid all the war-time preparation and danger, theirs is also a “love story”, and their story begins in 1943, while both were stationed in England preparing for D-Day. Vito and Jerry came from very different parts of the United States, and likely would have never met, if not for World War II. The war brought together so many young men and women from all parts of America, most of who had never ventured beyond their immediate town or farm. They put-on a new uniform, trained as airmen, soldiers, sailors, and marines, and then sent into theaters of combat around the world. Vito Pedone, then 23 years old, was a first generation Italian-American, from Mount Vernon, New York. His dad and mom had emigrated as teenagers from Puglia, Italy. In 1918, Vito’s dad, Corporal Antonio Pedone, fought in WWI, with the American Expeditionary Force, 28th Infantry Division, in front-line combat in France, beside the French and British, to successfully defeat German aggression. However, the French and British desire to punish Germany for WWI culminated in the harsh Treaty of Versailles, which contributed to the rise of Hitler and his Nazi Germany reign of aggression and terror. Twenty-three years later, Vito, along with his brother and sister, the next generation, would have to again “answer the call to service” in WWII, as U.S. Army Officers, to join many others of “America’s Greatest Generation”, and be in harm’s way again to complete the job! 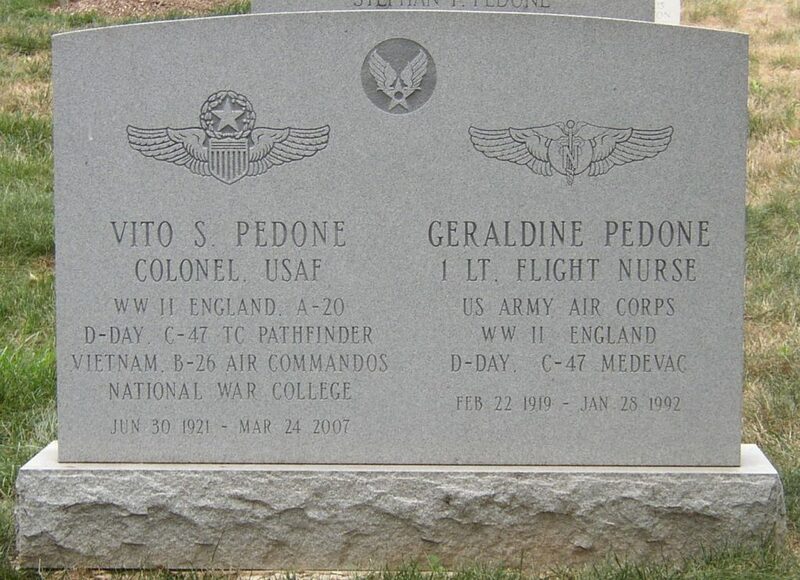 Vito and his younger brother, Flight Officer Stephen Pedone, were studying Aeronautical Engineering at North Carolina State College, when the U.S. entered the War. Vito, and later Stephen, would volunteer for U.S. Army Aviation Cadet training to become pilots. Their younger sister, 2nd Lieutenant Anne Pedone, graduated from nursing school, and volunteered for service as a U.S. Army Nurse. Stephen was killed in September 1944, in a B-24 crash, at age 22. 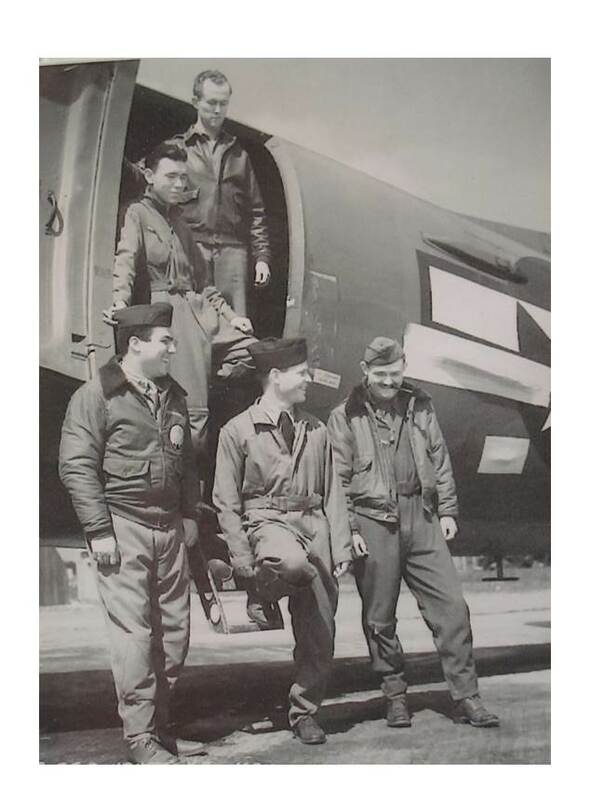 Upon receiving his officer commission and pilot wings, Vito completed advanced flight training in the twin engine A-20 light bomber/ground attack aircraft, which was flown by a single pilot and a rear gunner. 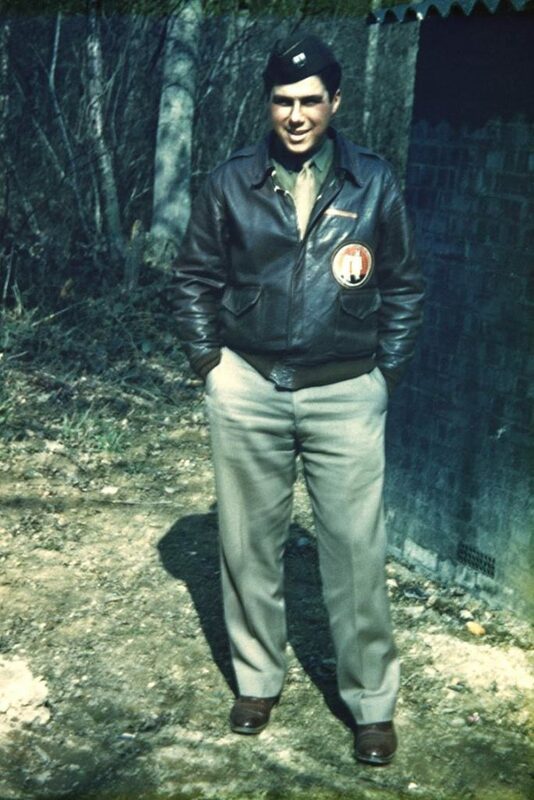 In1942, he was assigned to the 15th Bombardment Squadron (Light), 17th Bomb Group, 8th Air Force, in England, and would fly twenty-five A-20 combat missions across the English Channel into Nazi-held countries, making low-level ground attacks on Nazi targets. Vito requested transfer to the newly formed 9th Air Force Troop Carrier Command, to fly C-47 Troop Carrier aircraft and prepare for D-Day. As a Captain and experienced A-20 combat pilot, Vito was assigned to the newly established “Pathfinder” C-47Troop Carrier unit, based at North Witham Air Field, near Grantham, England. The key lesson learned from recent airborne assaults, like in Sicily, was that especially trained “Pathfinder” troop transport aircraft crews and paratroopers were essential to lead the way to finding and marking the correct drop zones, to ensure successful deployment of all the paratroopers. 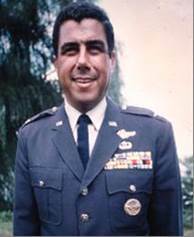 Vito was the Operations Officer of the 9th Air Force Troop Carrier Command Pathfinder unit, which was commanded by Lt. Col. Joel Crouch, a former C-47 airline pilot. Vito would conduct the unit’s Pathfinder School to train and prepare the selected Pathfinder C-47 pilots and flight crews for the Pathfinder mission. Lt Col Crouch and Vito would be the pilot and co-pilot of the lead Pathfinder C-47 aircraft, Tail # 293098, to take-off first and to lead the U.S. Airborne Invasion Force into Normandy, called “Operation Neptune”. Jerry, 24 years old, was from Oklahoma City, Oklahoma. She graduated from nursing school in Oklahoma, and trained as a surgical nurse. 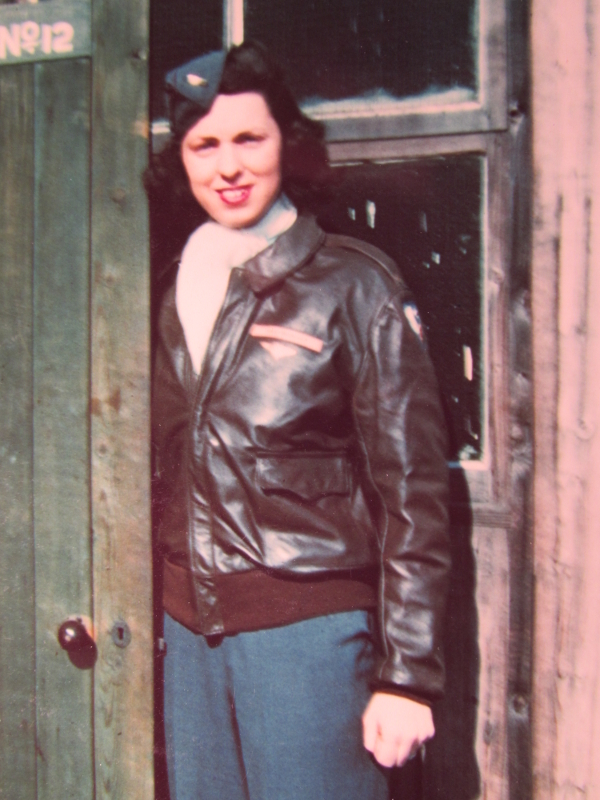 She soon volunteered for training to become one of the first U.S Army Air Force Flight Nurses. 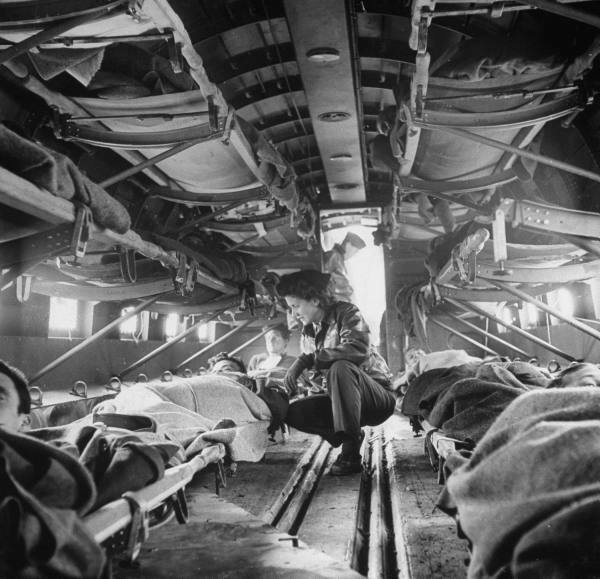 She would train and fly in un-marked combat C-47 transport aircraft, which could accommodate 14 stacked stretchers hanging from straps along both sides of the aircraft. The Flight Nurses were trained to care for the wounded soldiers during the C-47 medical evacuation flight from the forward combat zones to rear safe areas having hospital care. She graduated in the first class of Flight Nurses at the new Flight Nurse School at Bowman, Kentucky, and received her officer commission and Flight Nurse Wings. In 1943, Jerry was assigned to the newly established 9th Air Force, 806th Medical Air Evacuation Squadron (MAES), based at Welford Park, England, to provide medical services for the large build-up of American forces staging, and to prepare for D-Day. 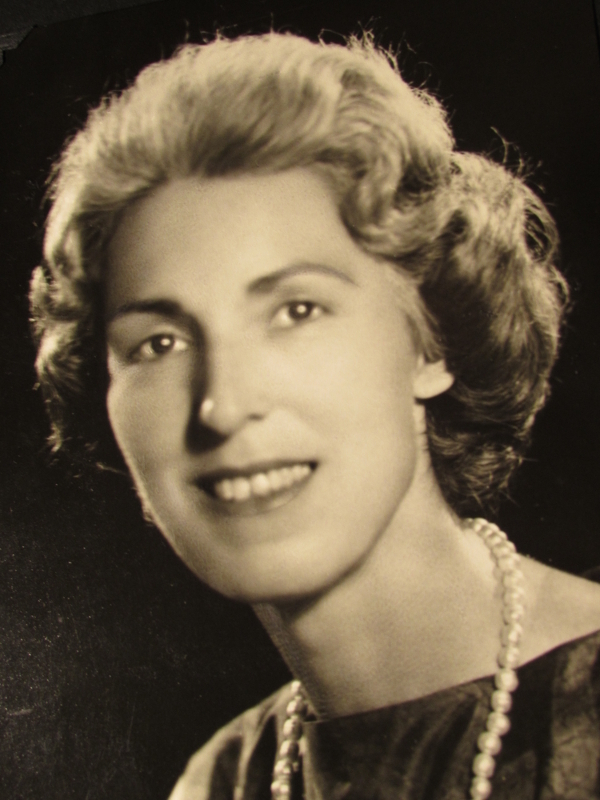 Shortly after D-day, she would fly into the Normandy combat zone, in the same C-47s as the D-Day paratroopers, to care for and evacuate the wounded back to England. 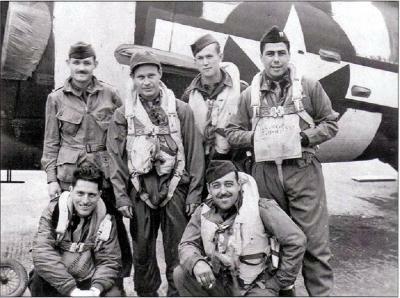 Flight nurses, Jerry, 2nd right. WWII brought Vito and Jerry to England in 1943 to successfully prepare and execute a critical mission: “D-Day”. The many months to build-up American forces and prepare for D-day provided the opportunity for them to meet and fall in love. They were stationed at different air bases, so Vito would pilot various aircraft to visit Jerry at her base! They were married in England in 1943. They both would successfully execute their assigned D-Day missions: Vito’s – the Airborne Invasion of Normandy; and Jerry’s – the Medical Air Evacuation of the wounded from Normandy back to England. The Airborne Invasion force was an essential part of the invasion plan, and was generally delivered into Normandy well before the sea invasion force landed on the beachheads. The 9th Air Force Pathfinder Troop Carrier C-47s would lead the airborne invasion forces into Normandy, to start D-Day. A small team of British commando forces were delivered into Normandy first, late at night on 5 June, by two towed gliders, to insure complete surprise of the Germans, in order to seize and hold the key and heavily defended Pegasus Bridge, near Caen. The mission of the Pathfinder C-47 Pilots and especially trained aircrews was to fly the Pathfinder Paratroopers from England over the English Chanel to Normandy, and accurately drop them into seven selected drop zones interior to the Normandy invasion beaches. The especially equipped Pathfinder C-47’s participating in D-Day took-off from North Witham Air Field, England, very late in the evening on 5 June 1944. Onboard each of the (20) Pathfinder C-47 aircraft was a team of especially trained Pathfinder Paratroopers (called a “Stick”) from the 101st or the 82nd Airborne Divisions. In Vito’s lead plane, Pathfinder Stick #1, Drop Zone “A”, was led by Captain Frank Lillyman, 101st Airborne Division, 502nd Parachute Infantry Regiment. Once on the ground, the mission of the Pathfinder Paratroopers, was to “mark the (7) drop zones”, for the follow-on main body of (821) C-47 Troop Carrier aircraft, led by the C-47 “That’s All Brother”, which were approximately 30 minutes behind the Pathfinders, and would drop thousands of 101st and 82nd Airborne Paratroopers into their specific Normandy Drop Zones (DZ). Special radar electronic equipment, called “Rebecca and Eureka”, was used to mark and find the drop zones. The Pathfinder Paratroopers jumped carrying the ground-based “Eureka” portable transponder beacon, which they would set-up on each of the drop zones to transmit a specific electronic signal for each drop zone. The airborne-based “Rebecca” system, installed in the cockpit of the follow-on main body C-47s, had a directional antenna which could receive a specific Eureka transponder signal, and indicate the approximate location of the Eureka beacon, to guide the lead aircraft of each flight to the general area of their drop zone. However, the aircrews still had to visually see the drop zone as they approached, in order to accurately drop their paratroopers on the designated drop zone. Since it was late at night, dark and cloudy, the Pathfinders also mark the drop zone with special holophane marking lights, laid out on the ground, and luminous panels laid on the ground in the shape of a “T”. The drop zones had to be marked quickly, since the C-47 main-body would arrive in 15-30 minutes. Once all the paratroopers were on the ground, the Pathfinder Paratroopers would join them, and together initiate their assigned combat mission in Normandy. 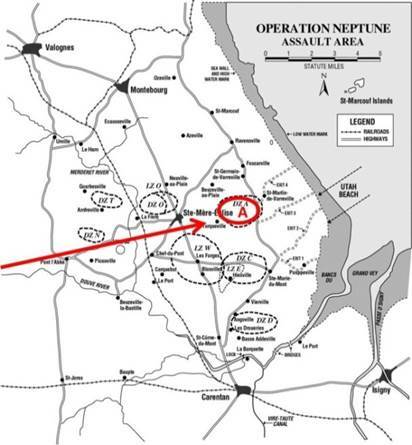 Their general mission of was to cut-off and block German Army reinforcement of the Normandy beachheads, and to hold key strategic positions until the sea invasion forces were able to reach them. The Pathfinder Paratroopers were heavy as they jumped from the plane, having up to 90 pounds of gear strapped to them, including all the ammunition they would need. Vito’s C-47 would lead the tight formation of Pathfinder aircraft across the English Channel in total darkness, with only small navigation lights on each plane to aid the pilots in keeping a tight formation. They flew at 500 feet over the Channel to avoid German radar. The unarmed C-47s had fighter cover protection. It was a clear night crossing the channel, but as the Pathfinders approached the Normandy coast over the Cotentin Peninsula, a thick blank of clouds obscured the sky and view of the ground, which made formation flying very dangerous. They proceeded inland on the designated navigation heading to the drop zones, hoping to be able to see the ground and the drop zones. The Germans hearing the sound of the C-47 engines began to fire into the night’s sky. As Vito’s aircraft approached the Drop Zone “A”, between Saint-Mere-Eglise and Saint-Martin-de-Varreville, Colonel Crouch asked Vito if he spotted the drop zone. The clouds parted just long enough for Vito to visually confirm the Drop Zone “A” location, and the green light was turned-on to signal the paratroopers to jump! It was 0015 hours, 6 June 1944. “Geronimo” was heard, as the 101st Airborne Pathfinders “hit the silk”. The first D-Day American forces were on the ground! Upon landing back in England, Crouch and Pedone were order to personally report directly to General Eisenhower the details of the initial airborne assault. Both the Pathfinder and main-body troop carrier pilots faced serious challenges and dangers over Normandy. General Eisenhower knew the D-Day Invasion had to take place on 6 June. The earlier bad weather was expected to continue, which convinced the Germans that we would not attack, so we surprised them, and they were caught “off-guard”. Ike had a last minute weather update on 5 June, which forecasted a momentary break in the weather, so his decision was “Let’s Go”! However, the unexpected thick cloud bank over Normandy and the drop zone areas made close formation flying dangerous and difficult for the pilots to see the ground and specific drop zones. For the parachute drop, C-47 Pilots needed to fly “low and slow” and in formation over the drop zones: “low” 700 feet, to reduce the paratrooper exposure to deadly ground fire and keep them close together so they would land together, and “slow” 110 MPH, for a safe jump speed. Intense German anti-aircraft artillery and machinegun ground fire often hit their mark, as flak and bullets easily penetrated the thin aluminum aircraft skin. Some aircraft caught fire and went down, while paratroopers tried to jump to safety. Some pilots began to make evasive maneuver turns, altitude changes, and increase speed. Increased speed caused too much stress on the parachutes, and gear to be ripped-off the paratroopers as they jumped. Any lower altitude meant their parachute would not be opened long enough to slow their fall, so they landed hard and sustained injuries. Some paratroopers landed in German flooded Normandy fields and drowned, carried down by their heavy equipment. 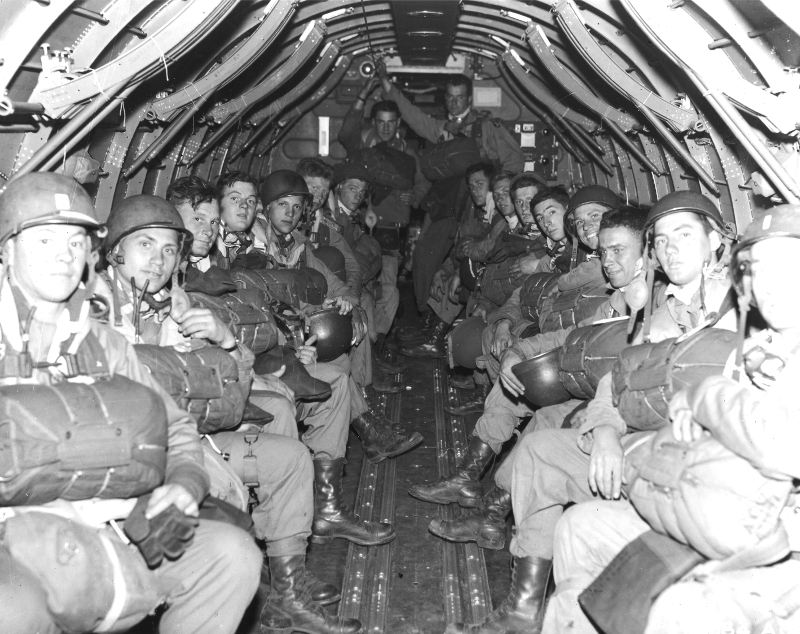 Many paratroopers jumped early or late, missed their drop zone, and were scattered. The scattering unexpectedly helped to confuse the Germans, delaying their full ground response. The later glider-born forces would encounter similar dangers, plus German placed spiked obstacles in the Normandy fields, intended to wreck the gliders and kill the soldiers onboard. Many aircrew and paratroopers were killed during the D-Day air assault, as anticipated. Despite the many dangers, bad weather, and difficult challenges, they still “got the job done”. When things did not go as planned, American ingenuity and initiative took over at all levels to save the day. They are all “American Heroes”. Jerry’s Medical Air Evacuation C-47 missions would begin four days after D-Day, on 10 June 1944, when combat conditions were relatively secure enough for the first C-47 aircraft, with an 806th Medical Air Evacuation Squadron Flight Nurse on-board, to land on flat dirt fields near the Normandy combat area. The aircraft brought-in a cargo of urgently needed supplies, which were quickly unloaded, so that (18) wounded soldiers on stretchers could be quickly loaded, stacked three-high on side-mounted racks. The aircraft were the actual C-47s used during the D-Day air assault, and were not marked with red crosses. 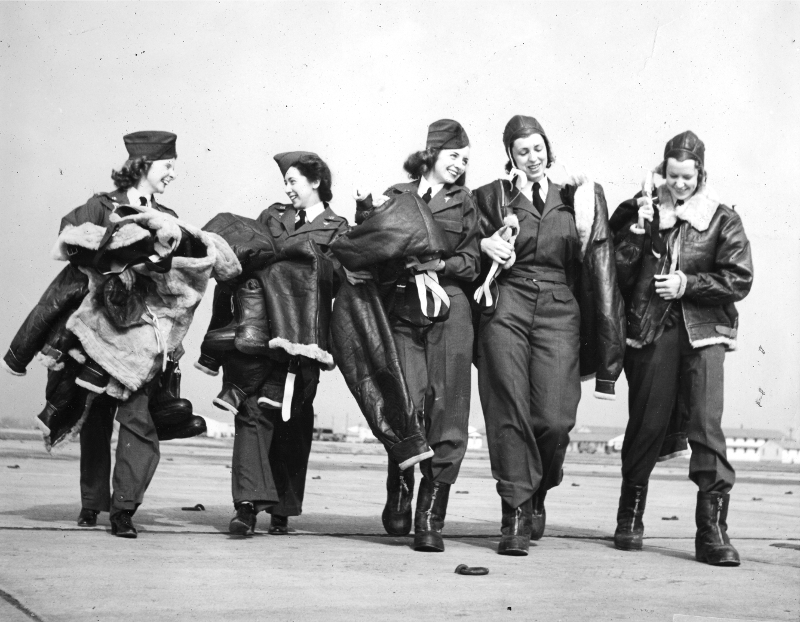 They were on the ground a minimum time, before they took-off to return over the Channel, to hospitals in England. The Flight Nurse was responsible to care for the wounded soldiers during the flight. They saved many lives. The C-47s were unarmed, but were protected by fighter aircraft during their Channel crossings and Normandy ground time. The new WWII concept of air medical evacuation of wounded soldiers from the front-line combat zone, cared for by trained Flight Nurses, proved to be a great success both in Europe and all theaters of war, and saved many lives of “America’s Greatest Generation”. The D-Day “Operation Overlord” air and sea invasion was a total success, and marked the beginning of the road to ultimate “Victory in Europe”, on 8 May 1945, followed by our subsequent “Victory Over Japan”, on 2 September 1945. Vito and Jerry played an important part in our victory in WWII, and their story of military service would continue. Vito would rise to the rank of Colonel during his 30 year distinguished career in the U.S. Air Force, and participate in many important moments in our nation’s history, including the Pacific Atom Bomb Tests, establishment of NATO, the Cuba Missile Crisis airborne invasion, early1960s Vietnam Conflict/ B-26 Air Commando combat missions, and the development of GPS. He graduated from the National War College. Vito contributed significantly to winning the “Cold War”. Jerry separated from military service to have their only son. She worked as a surgical nurse in Alexandria, Virginia. As an Air Force Colonel’s wife, Jerry played an important diplomatic role during their assignments around the world with both foreign military officers and government leaders, contributing to our Cold War strength. Following military retirement in 1970, Vito was a consultant to a military defense electronics company, and he and Jerry began and operated two companies, until their second retirement in Alexandria, Virginia. Vito actively participated in D-Day reunion ceremonies, the Pathfinder Association, and other career related military associations and reunions. The 9th Air Force Association awarded Vito their 9th Air Force “Great Warrior Award” for his long and unique service. 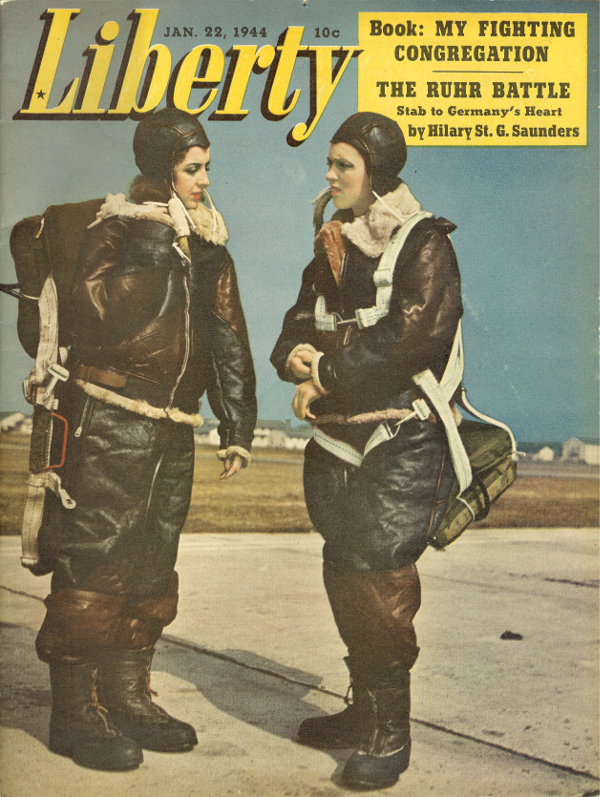 Jerry participated in the WWII Flight Nurse Association. 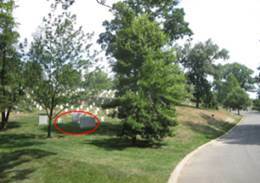 Vito and Jerry’s story ends at a very special place in our nation, Arlington National Cemetery, where they lie together for eternity – “There is no greater honor”. Jerry is honored at the National Women in the Military Memorial, in Arlington. Vito is remembered at the 82nd Airborne Division Paratrooper Museum, in Fayetteville, North Carolina. His D-Day service is recorded in numerous books on D-Day and in several U.S., U.K., and French military museums, and he told his D-Day story in person for the History Channel. Their son, Stephen Pedone, named after his uncle killed in a B-24, followed in their footsteps, serving a 25 year career in the U.S. Air Force, and contributed significantly to the winning of the Cold War, retiring in 1990. He authored Vito and Jerry’s story in their biographies, and this article, for future generations to appreciate and to learn from our history. 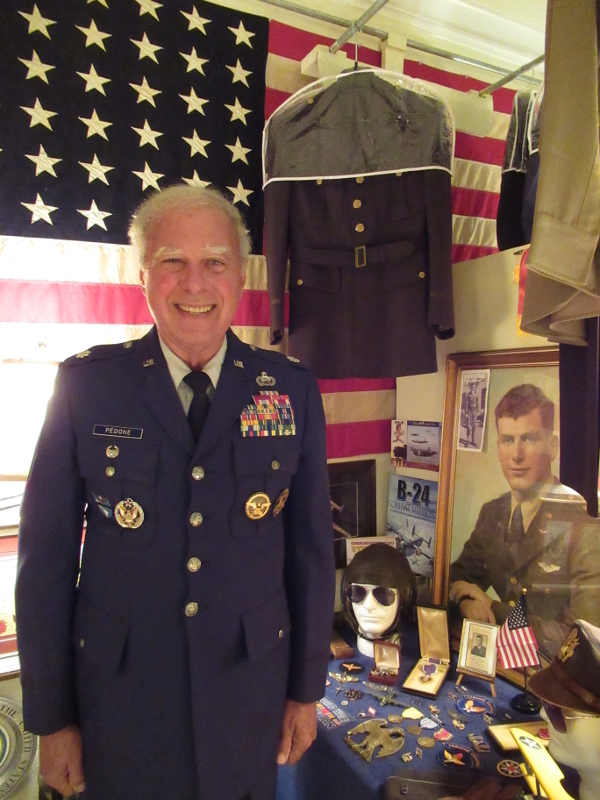 He has an extensive home display of Pedone family military memorabilia, to honor their memory and service. Vito and his family truly reflect an “American Success Story”, being first-generation Americans of successful Italian emigrants. Three generations served America in uniform, from 1915 to 1991, during many important moments in our nation’s history, from his dad’s 1918 WWI combat service, to Vito and Jerry’s WWII combat service, and he and his son’s extensive post-war service, which greatly contributed to our “Winning the Cold War”, with the ultimate demise of the Soviet Union and resulting freedom of many East European nations. On this 75th Anniversary of D-Day, in June 2019, Steve and his wife, Ximena, will participate in the special D-Day commemorative ceremonies at Duxford Airfield, in Cambridge, England, and the ceremonies at Caen Carpiquet Airfield, Normandy, France, along with an extensive tour in Normandy of the key air and sea D-Day sites, and D-Day dedicated museums. They will be present for the arrival of the many restored WWII C-47 aircraft of the “D-Day Squadron”, flying from the U.S. to England, to join other restored WWII C-47 from around the world. 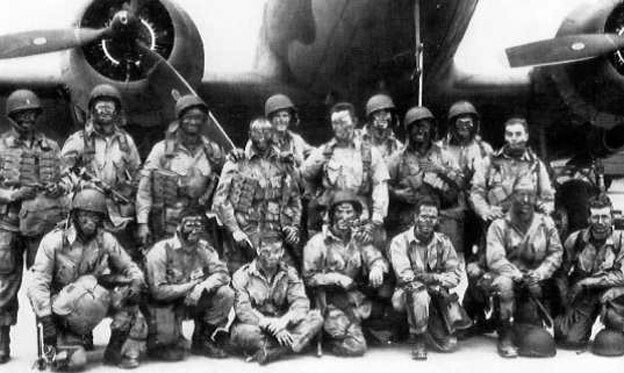 Then they fly to France to participate in the “Daks Over Normandy” D-Day reenactment parachute drop of hundreds of parachutist in WWII uniforms, jumping into Normandy from the restored C-47s, with WWII style round white parachutes. Steve will remember and represent his mom & dad, who served our nation in time of war and greatly contributed to the success of D-Day, 75 years ago, on 6 June 1944.